Many foster parents say some Indiana courts ignore foster parents, even if they’re not supposed to. The legislation tries to solve that in a few ways. It would require DCS to provide a form for foster parents to submit written testimony. And if foster parents try to intervene in a case, the bill also requires judges to consider whether the child has been with the foster family for at least six months and whether the foster parent wants to adopt. Kiamesha Colom is a foster parent. She says these provisions could help the problems she and others face. “Perhaps a little more thought and care will be taken into account,” Colom says. The measure also allows foster parents to urge courts to force DCS to try to terminate parental rights if a child has been under the agency’s care for more than a year. 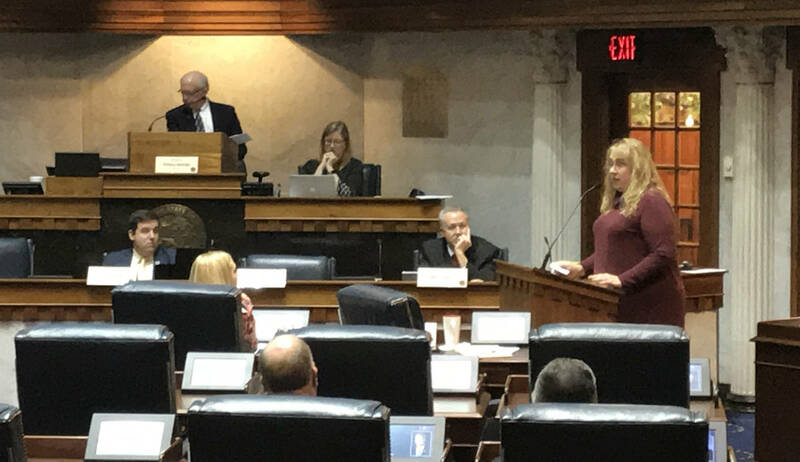 But Indiana Foster and Adoptive Parents CEO Kristi Cundiff says the bill doesn’t say what will happen if DCS ignores that. Some juvenile court judges pushed back against the bill because they perceive a loss of judicial discretion. A separate bill this session, initiated in the House, seeks to enact other changes at DCS. Both measures grew out of an independent investigation of the embattled state agency, conducted last year.